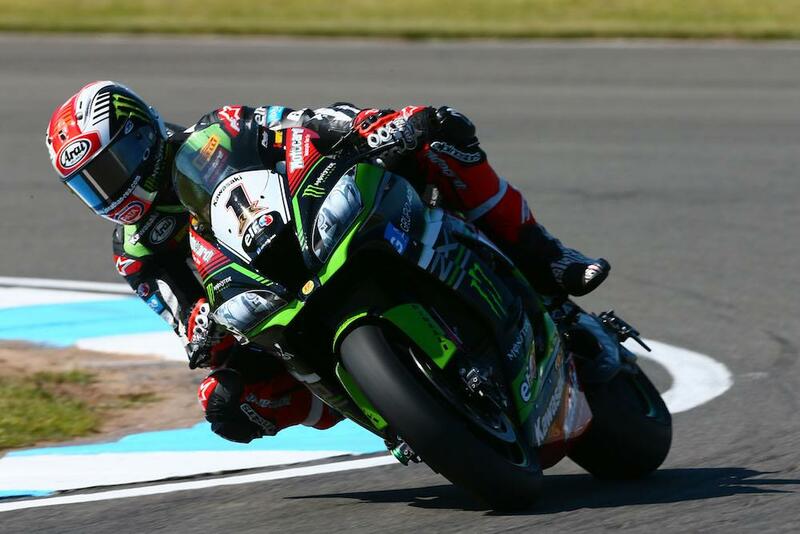 Jonathan Rea made his intentions clear on the opening day of practice at the Donington Park round of the Superbike World Championship, topping the timesheets from team-mate Tom Sykes after the two practice sessions. It didn’t all go smoothly for the reigning champion, who slipped off after running on at the Melbourne Loop earlier in FP1. Wildcard Leon Haslam impressed for JG Speedfit Puccetti Kawasaki to set the third fastest time of the day, ahead of Aruba Ducati’s Marco Melandri and Chaz Davies. Local boy Alex Lowes rounded out the top six, ahead of team-mate Michael van der Mark who proved quick in the early sessions despite two falls this morning. 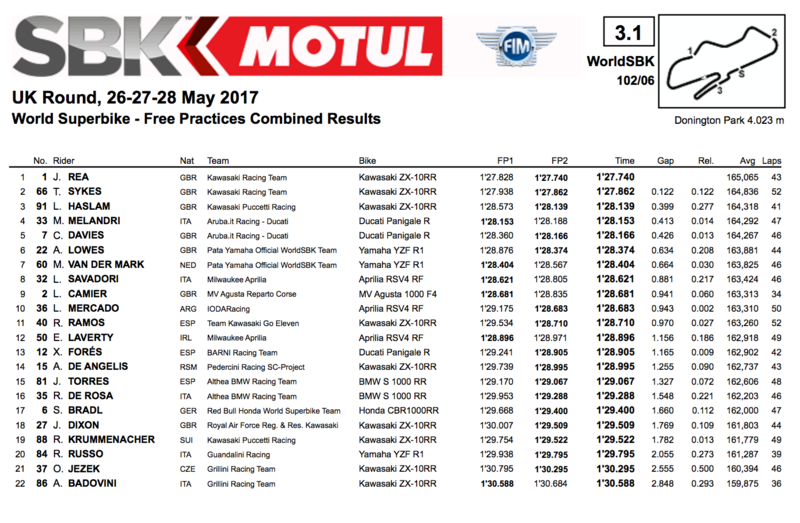 Lorenzo Savadori, who enjoyed his strongest weekend of the year here last season, with Camier and Mercado rounding out the top ten.